I was in love with my baby before I ever met him. And when I first held him, my whole body flooded with love. He was an easy baby as long as he was with me, but any time I tried to do something without him, he cried. I thought it was a sign of his affection for me. Then he learned to walk and talk and express his opinions. Danny protested when we started looking at preschools. He asked me why I would send him away. I assumed he would enjoy kindergarten like I did, but he didn’t. His distaste for school got stronger, along with his resistant attitude. By the time he was in fourth grade, he outright refused to do homework. He was rude to his teachers, got other kids riled up and left a trail of debris wherever he went. I loved my son, but it was hard to accept him and his behaviors. Every parent I have met loves their kids. While they have different ways of expressing their love, they all say they feel love—they just know they do. But like me, they may not accept who their child is, or what they care about, believe in or value. It’s not easy to love and accept a child who is different than you are or who doesn’t appear to fit in or who has behaviors that are hard to be around. We want our love to be enough, but the truth is, without acceptance, it usually isn’t enough for our children. They know the difference between love and acceptance. Though I couldn’t see it at the time, my son picked up on my disappointment in him. Where he once could find sanctuary with me at home, my anger at his behavior meant he no longer had a safe and loving place to learn how to find his own peace. Instead, his teachers and I looked for a way to explain his “issues.” We put him through a special education evaluation. I took him to a psychiatrist who gave him a list of labels: ADHD, ODD, mood disorder and anxiety, and he was then prescribed mood-altering medication. Danny knew he was not always in control of his behaviors, but he hated the medications, the labels and the look in the eyes of the adults around him. He could feel the judgment. He was internalizing the label of being broken, worthless, and unlikable. Not surprising, this made him fulfill what he felt and his actions got worse. After weeks of forcing him out of the car, locking the doors and driving away while he raged in front of his classroom, I knew something had to change. And that something was me. Danny was doing the only thing he knew how to do, so it was up to me to change my words, my actions and my way of showing him I loved and accepted him. The question was, did I accept him? I knew I hated his behavior; I felt ashamed of it and often ashamed and disappointed in him. Danny’s brain worked differently than most of his classmates. He learned by doing, not reading. His creativity came through when he was given the time he needed to examine all the angles. His sharp mind and quick wit needed to be expressed, but not on a math worksheet. Danny had ADHD, and to him that meant he felt like a failure. He knew the people around him were unhappy with him. He could feel our grief. He could feel that we wanted to change him and that we did not like who he was, not just how he behaved. He felt broken. Danny did not feel loved and he did not feel accepted. 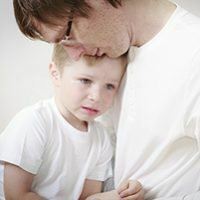 Many, many of our sons and daughters who live with differences such as ADHD, learning disabilities or anxiety, know that the world does not want them the way they are. The world sees them as defective, in need of remediation and simply not acceptable. That was my son. He couldn’t tell me that’s how he felt when he was in elementary and middle school. He simply did not know how to talk about it. I didn’t either. But I knew that I had to stop trying to “fix” Danny. He wasn’t broken, defective or disabled. He had so many strengths; but we had all lost sight of what those were because they were hidden in his anger, defiance, worry and sadness. Here is one big piece that many parents face—our children’s differences are not ones we can relate to, so we are not prepared to both love and accept them. I did not grow up with ADHD. I only heard about it after I became Danny’s mom. 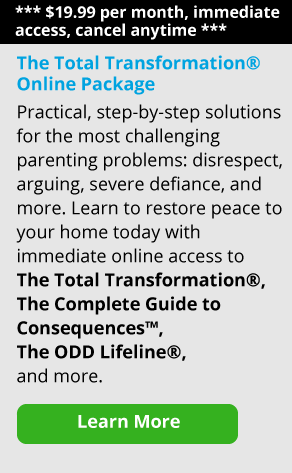 Modern parents who did grow up with ADHD often did not get diagnosed or get help until they were adults, so when they see their child struggle, they are helpless, just like they were as children. We merge our children’s conditions with their identities and label them disabled. Now, more teens and adults are merging their conditions with their identities and labelling them “neurodiverse.” Offered a way to fix their challenges, they are saying, “No thank you, this is me.” Dr. Ned Hallowell, one of the leaders in ADHD, has the diagnoses of ADHD and dyslexia. He loves what he calls his “Ferrari brain” and does not want it taken away. He does want some of his symptoms to be better-managed, which he does through a comprehensive approach of natural and medical interventions. He has learned to accept and value his neurodivergence. So how to I accept my son? How do I reconcile the boy I thought I wanted with the one I have? If I love him but don’taccept him, can he love and accept himself? First I had to ask myself if I could accept the fact that I was a mother of a child who was different than his classmates. Could I live with the image of me as a parent of a child with a disability? Or was it that I was afraid of my own beliefs—that Danny was inferior, that he would be dependent, that he couldn’t make it? Danny’s seventh grade team of teachers asked us to meet with them. They sat in a circle and took turns telling him that he was blowing it. They could see he was smart, capable, charming, and creative but his classroom behaviors, refusal to do any school work and escalating physical altercations with other boys were derailing him. It was the most brutal meeting I have ever attended. I was hurt and angry that others would not accept him. But in Danny’s case, it was tough love and it worked. Danny could see, even if I couldn’t, that his choices were indeed his choices and they were not getting him anywhere he wanted to be. He could also see that one teacher in particular was a true ally—though he tried to push her away, she wouldn’t go. He began to accept that his brain was wired differently. It wasn’t broken but different. That allowed him to start seeing the strengths he had in his ADHD brain, and not just the weaknesses. He started to accept help. The first thing he and Mrs. K did was clean out his locker and backpack and design an organization system that worked for him. I started to look for and praise the emerging adult in him. When I saw him do something such as refill the dog’s water bowl, I acknowledged his thoughtfulness (rather than praising completing a chore). When he started to get himself up in the morning using his alarm clock, I made sure he overheard me on the phone telling my sister about how impressed I was at his growing independent skills. Danny liked receiving little gifts, so I would make sure I got him something he liked at the grocery store. He loved a certain kind of wavy potato chip, so I would get him his own bag every once in a while, for example. I also wanted him to give us a way to demonstrate his love, so we discussed how he could contribute to the household. As you can imagine, chores like taking out the trash were not getting done and were also creating a lot of stress between us. He also wanted to cook, so he planned and prepared a meal for the whole family at least once a week. He got so into it, he would write up menus and not allow anyone into the kitchen while he cooked. Cooking for us gave him confidence, acknowledgement and a sense of real contribution. Danny has ADHD that he now accepts and understands. He knows he actually needs to fidget, that he learns better with music on and that he has a quick mind. He has also accepted that he is bright, capable and a fast hands-on learner. As I have learned to love and accept my son, he has learned to love and accept himself. What could be better than that? Anna Stewart is a family advocate, writer, speaker, facilitator and single mother of 3 unique kids. She is passionate about helping families learn to advocate WITH their children and teens and supporting those with AD/HD. Anna is the author of School Support for Students with AD/HD.